It’s been an unusual season for sweetcorn – they matured really early – we were eating cobs straight from the plant to the pot from the beginning of August – And very nice they were too!! But with the continued dry weather their time is up, again really early to that expected – I have seen sweetcorn last until the end of October. 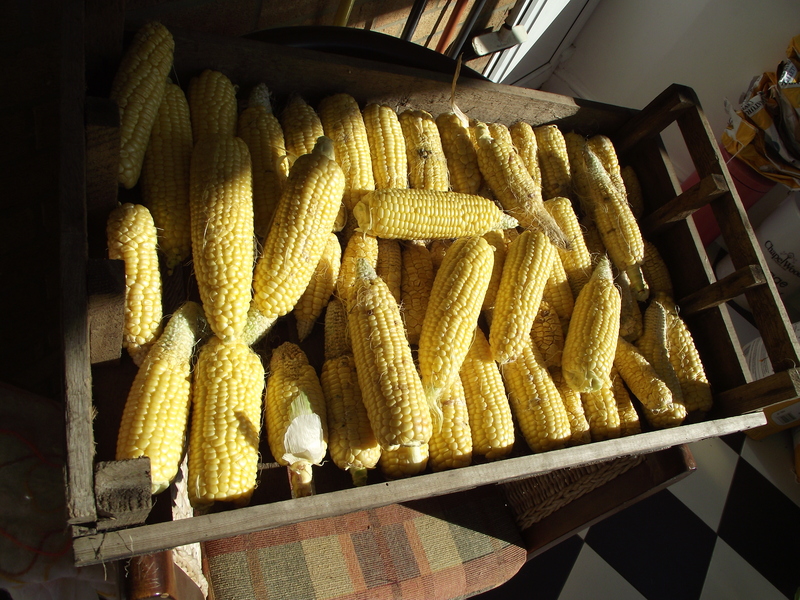 I’ve picked all the remaining cobs – stripped them and now I am going to dry them out in the porch. If I had kept them on the plants any longer the birds and mice would start to eat them. They will become Chook treats through the winter.